Our mission is to provide assistance to as many Fort Loudoun Medical Center departments as possible in order for the trained staff to perform their services in a professional and expeditious manner. 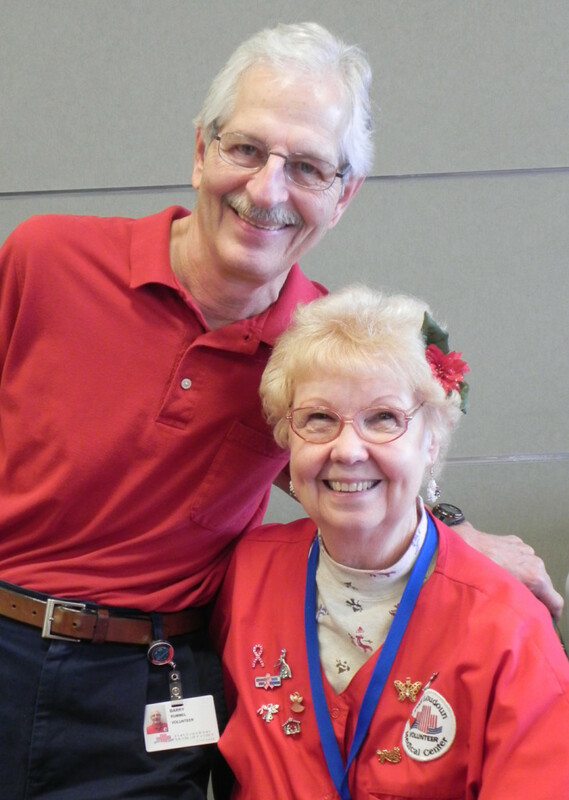 Our organization consists of more than 100 volunteers who provide their time in 17 areas of the hospital. There are two shifts: 8 a.m – noon and noon – 4 p.m. The hospital provides a free lunch either before or after you complete your shift. All applicants must complete a background check and an in-house orientation. The volunteer program at Fort Sanders Loudon Medical Center (now Fort Loudoun Medical Center) was officially formed with a 16 member staff in May of 1991. The hospital gift shop opened in June 1991. Lifeline (the emergency response system) program was administered through the hospital for 22 years until the beginning of 2012. Volunteers assist in 17 areas of the facility. Fort Loudoun Medical Center’s gift shop is located in the main lobby of the hospital and is operated by FLMC volunteers. Gifts for patients and visitors are available, along with used paperback and hardback books. The shop also stocks a beautiful array of purses, scarves, jewelry, etc. Hours are from 9 a.m. – 3 p.m. Monday through Friday. Our volunteers are happy to visit patients upon request, checking on them periodically to see if patients need anything, and just lending a helping hand and friendly ear. Patients can tell Admissions or the floor nurse if they would like to take advantage of this opportunity. Women: red jacket, dress slacks, closed shoes (No Denim). Men: red polo shirt or red jacket (No Denim). Interested in becoming a Volunteer at Fort Loudoun Medical Center? Fort Loudoun Medical Center Volunteer Services: (865) 271-6055.